News > Wechat CRM: Why brands must connect their online marketing and customer experiences with Wechat in China? 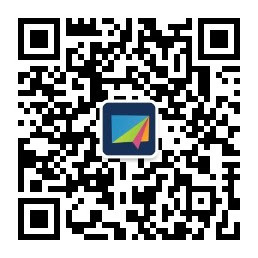 Wechat CRM: Why brands must connect their online marketing and customer experiences with Wechat in China? WeChat is one of the most valuable social platforms in China and is giving brands the possibility to connect any web-based mobile site with WeChat (Brand website, campaigns mini-sites, e-commerce online shops). This is a unique opportunity for brands to enrich their CRM with WeChat users data and behavioral information. Today, we answers brands’ key questions to show how they can leverage WeChat-connected websites from a CRM perspective. 1. Which data/information can brands collect from WeChat users with a WeChat-connected website ? 2. How can brands reconcile those WeChat data with their current CRM Data ? WeChat does not share email/phone information from users, so it makes it difficult to automatically link a WeChat ID with existing CRM data. So how should a brand proceed ? Build and allow your CRM to create entries/profiles based on WeChat ID (not only email with are not so popular in China). 3.How brands can use/activate those data ? WeChat gives the opportunity to brands to group their WeChat followers in different groups and send targeted message to those specific groups. Feel free to get in touch if you want to know more on how you can get the best out of WeChat from a CRM perspective. Follow KRDS on WeChat to make sure you do not miss any WeChat news and marketing opportunity for your brand !